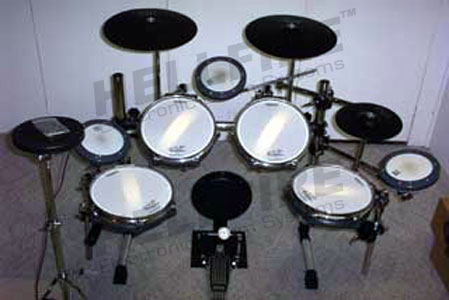 This is where I will post pictures of all the drum kits that I have made and have documented. 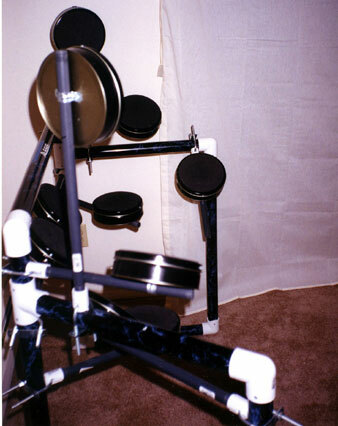 I think of it as my own personal edrum museum. Unfortunately, I did not take any pictures of this set, however you can read about it here. 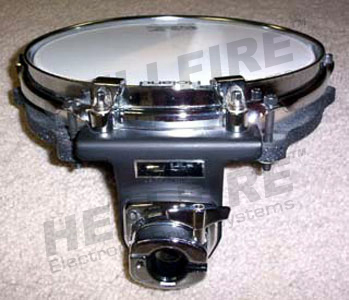 This is the “About” page, so you will have to scroll down to “My First eDrum Kit” to read about it. 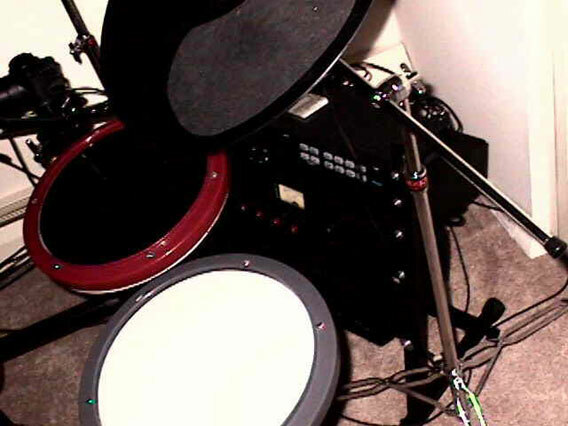 This is the second eDrum set that I built. It was built in late 1997. The pictures here were taken in 1998. 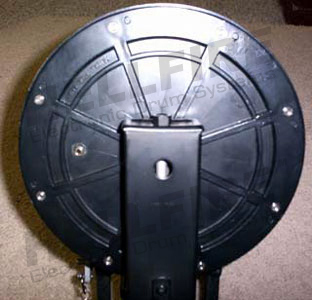 The rack is 2″ PVC. 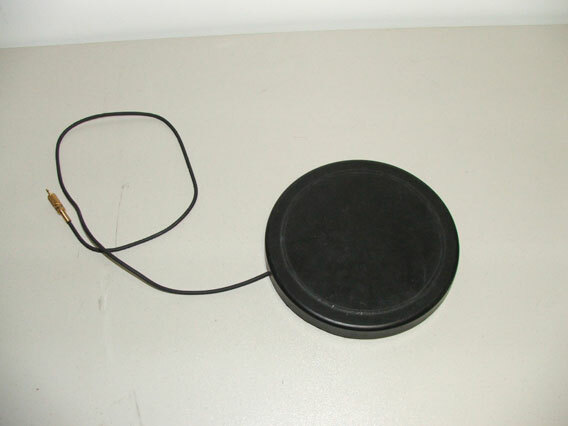 The enclosure for the drum triggers are cookie tins. On the top of each tin is a mouse pad. 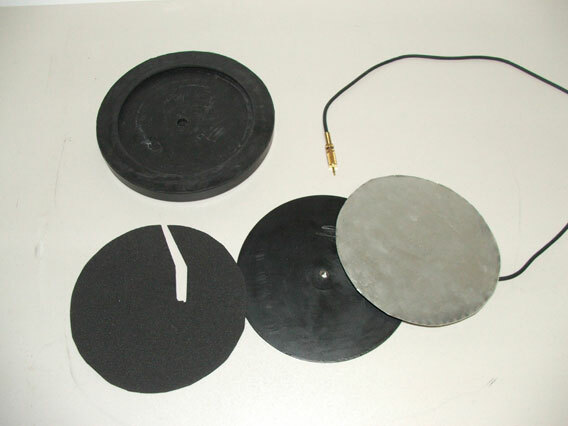 Under the tin lid is a piece of hardboard (piezo is mounted here) and under that is foam rubber to support the whole thing. They worked O.K. 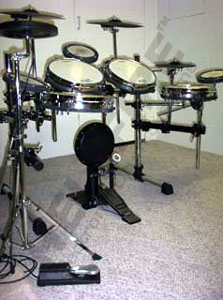 The drum module is an Alesis DM5. 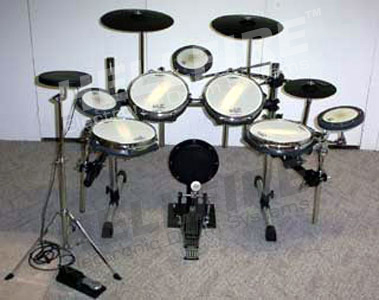 This eDrum set was built in late 1998. I quickly out grew set #2. Lets just say it had its limitations. 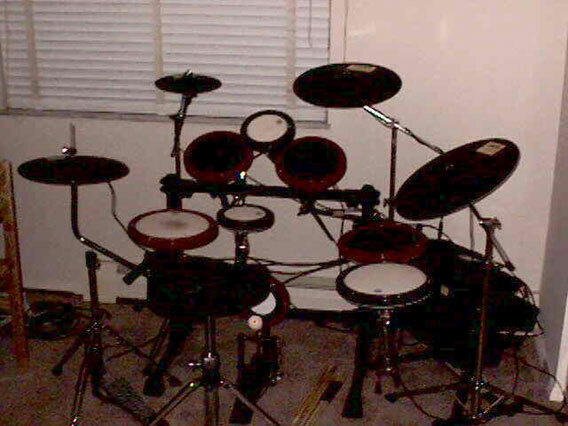 I mainly used a REMO practice pad set and some Able practice cymbals. This kit is also when I started messing around with a variable pot on each trigger to give me local velocity control. 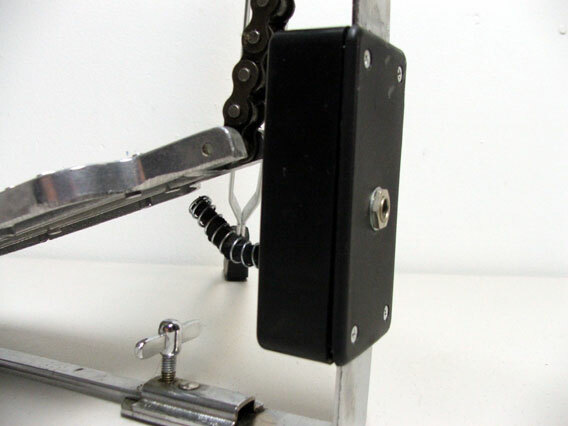 I still use these local velocity controls today. 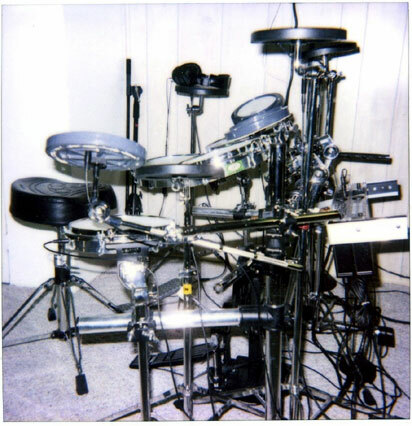 In the summer of 1999, I got to see the Roland V-Drums for the first time. I was totally blown away. 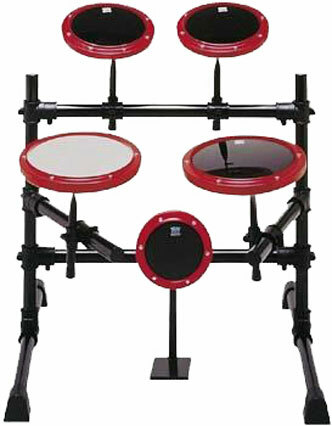 I have never seen or played electronic drums that felt so close to acoustic drums before. I got to try these out at a Guitar Center near by. 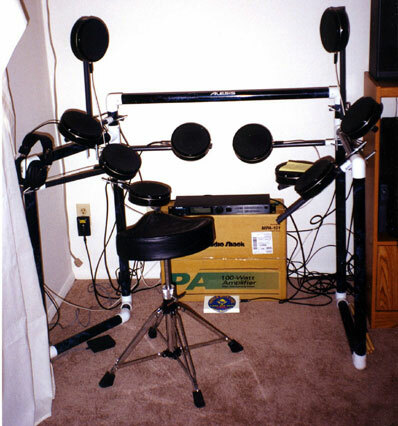 This changed the way I looked at electronic drums forever. 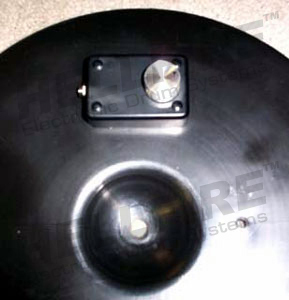 At that point I knew it was time to build a new eDrum kit. 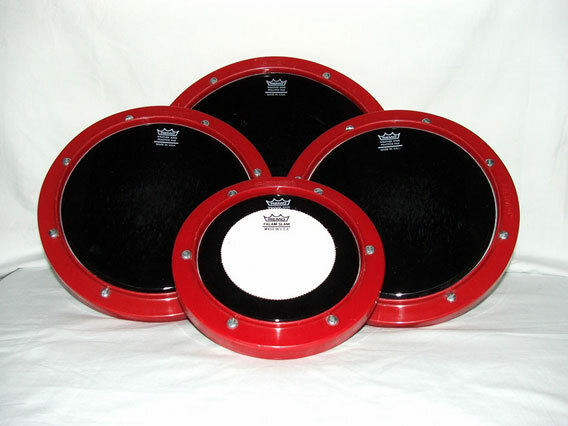 Musicians Friend started carrying the replacement drum heads for the V-Drums, so I bought some and in late 1999 I started designing the new kit. In January of 2000 I started to build. Keep in mind that only two mesh head sizes existed at the time and only Roland had them. At that point I knew using my acoustic drums were out of the question. I thought, “why not make them compact. It was at this point I thought I can just form aluminum flat bar into a hoop and use that as a drum shell of sorts. 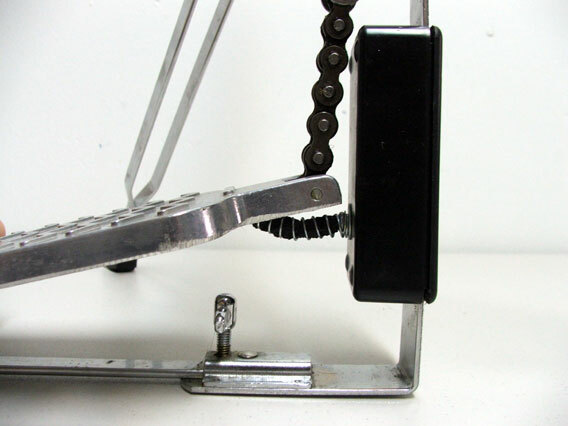 I have seen a metal hoop rolling machine, but the trick now is how do I go about getting one for myself. Lucky me, about this same time a Harbor Freight Tools opened up near me, so I went in the store and bought a Metal Planetary Ring Roller. At the time it was on sale for about $50.00. 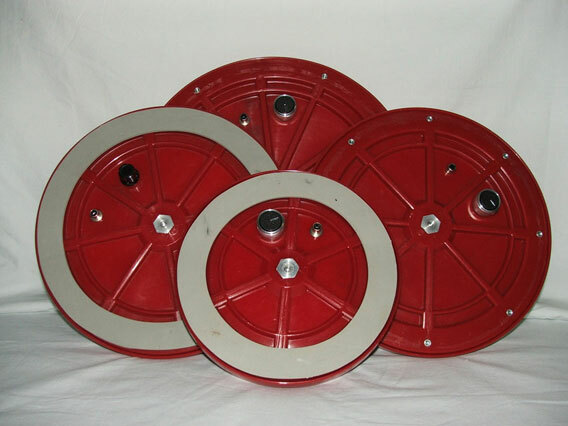 I got some 2″ aluminum flat bar and started rolling my 10″ drum hoops. 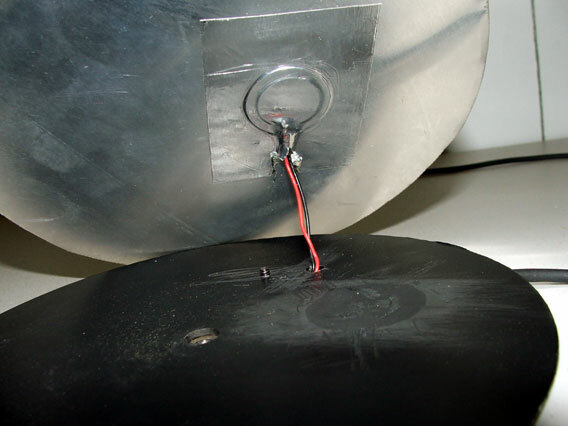 The seam of the hoop was pop riveted to a small backing piece of aluminum. 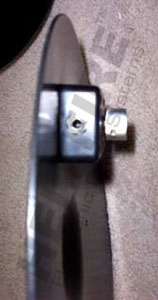 I used standard eyebolt and cut part of the eye out to use as a hook, these were then used as my drum lugs. 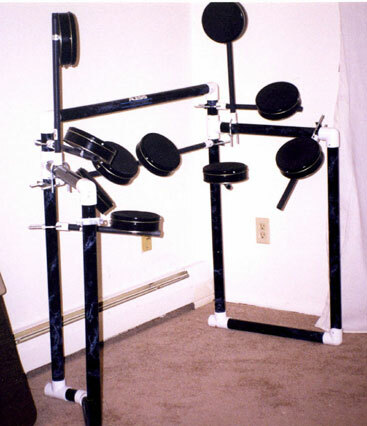 The drums were mounted to a Gibraltar practice pad rack set. The mounts I use on each trigger were Pearl I.S.S. (with BT-3) tom mounts. 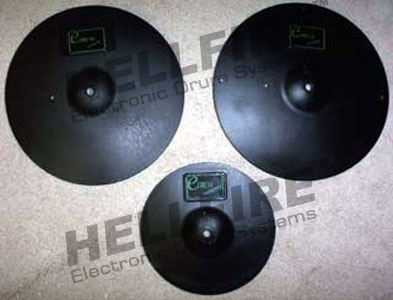 In mid 2000 I decided to tweak my eDrum set. 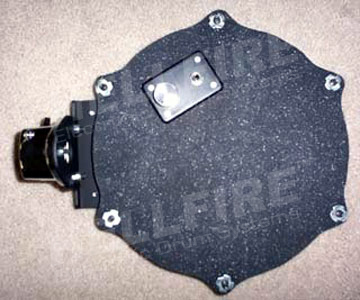 I added some old 6″ REMO practice pad triggers and started experimenting with new foam sensor couplings. After I made these tweaks I realized that I like the REMO pad triggers for some of my miscellaneous percussion sounds. 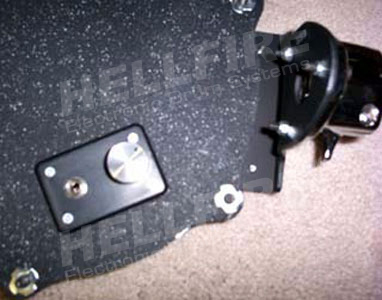 I still use some REMO pad triggers today. In late 2001 I was not liking the way set #4b was performing. I would tweak and tweak and I was not getting what I wanted. I decided to revamp set #4b. I was going to build a new set, but I liked the overall look of the kit, so I used this kit as a base. 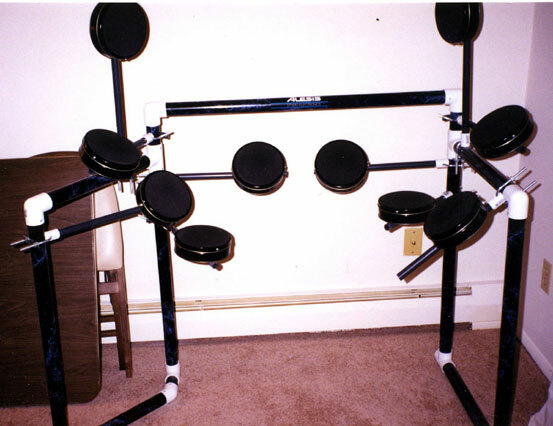 I reused the rack, ISS tom mounting, drum heads, hoops, drum modules, and bass drum trigger. I made new aluminum shell hoops, but this time I use 1-1/2″ wide flat bar instead of 2″ flat bar. 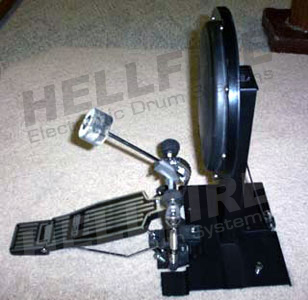 This gave the drum trigger a thinner overall look. I also got rid of the eyebolt lugs, and decided to use t-nut on a ply-wood base. 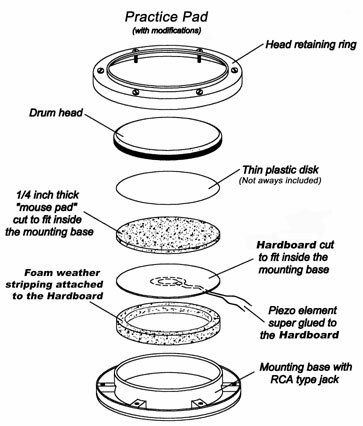 The ply-wood base was 1/2″ thick. It was at this time I learned how great textured spray paint was. The ply-wood base was painted with a textured black spray paint. The reason for this was to hide some of my cut marks and to cut down on all the sanding I would have had to do to use regular spray paint. 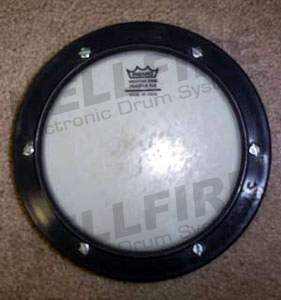 The foam sensor couplings were redone, and based off of a Pintech edrum that I saw at the store. Now you might be asking yourself, “why didn’t you just buy Roland foam cones”. 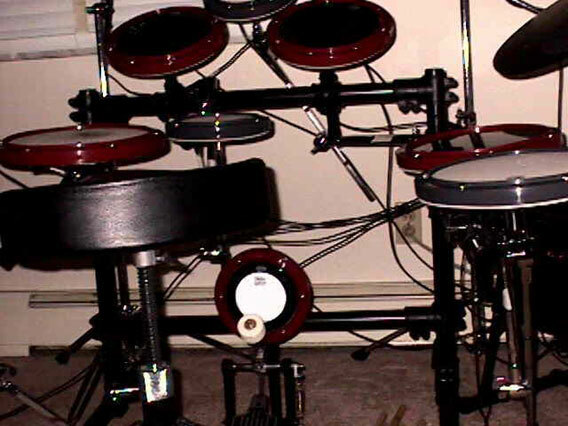 Well, I wanted to do that originally for kit #4a, but at the time you had to give your serial number of your Roland drum kit to get replacements. Knowing this I thought I would try something different. I saw the Pintech sensor assembly and said I can make that myself. 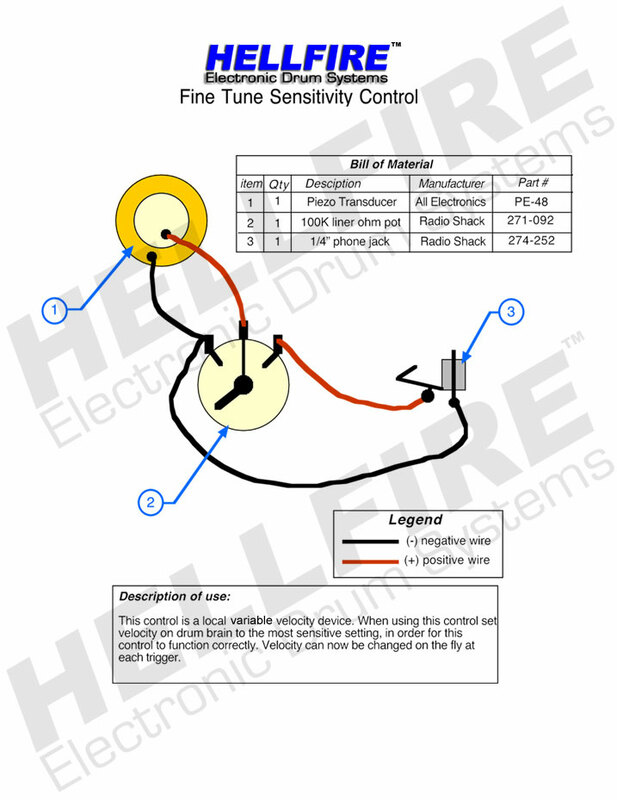 I also installed what I called my Fine Tune Sensitivity Control (or FTS Control). It just gave me a local variable velocity control. 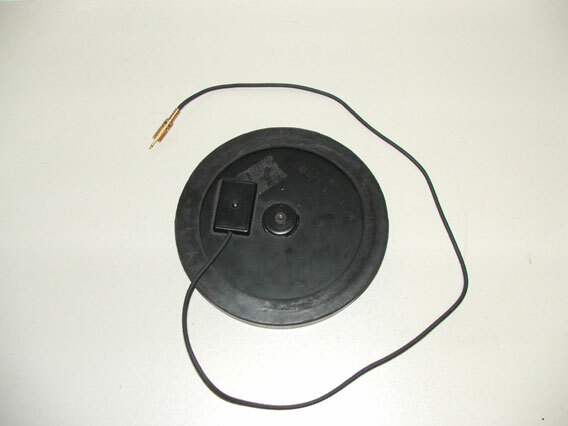 I also went back to using practice cymbals for my cymbal triggers. 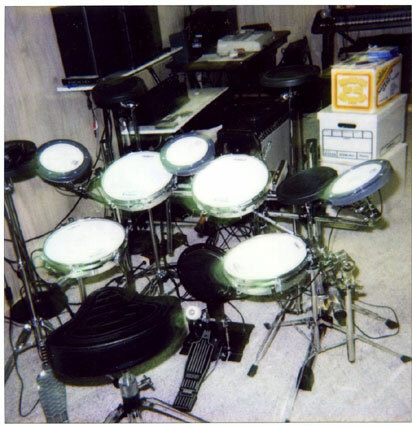 The kit was finish in early to mid 2002. 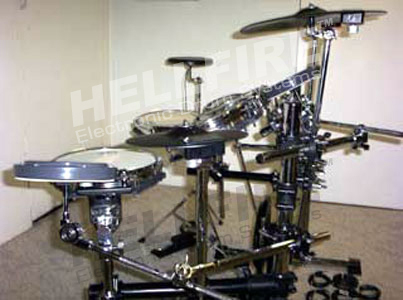 This was to be my eDrum kit to end all eDrum kits, at least that’s what I thought when I built it. 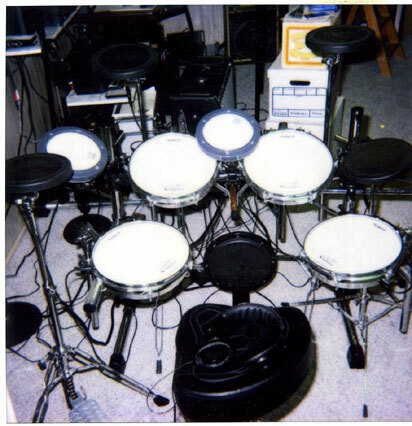 In the spring of 2003, I was at a local music store, when one of the guitar teachers ask if an acoustic drum set could be made into an electronic set. I told him, “I don’t see why not.” So, that got me thinking of how to convert the acoustic set I had, into electronic. On my own, I came up with this idea of using an aluminum cross bar mounted to two “L” brackets. At this point I wasn’t sure how to handle the foam sensor coupling. 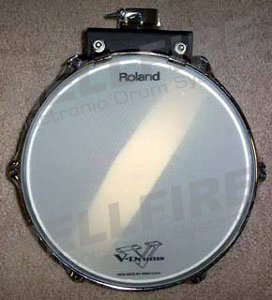 From my last set of eDrums I made, I was unable to get Roland cones. 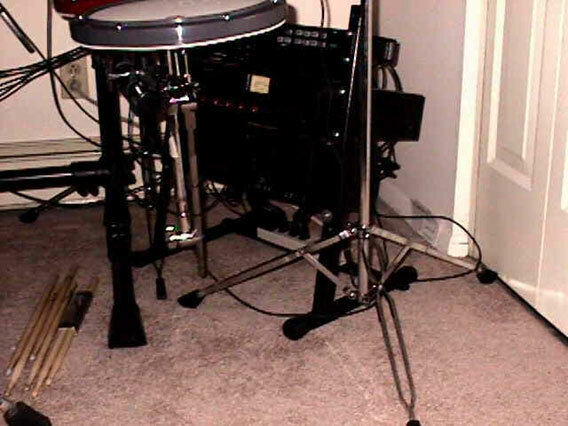 So I started putting the cross bars in all my toms and in my snare. 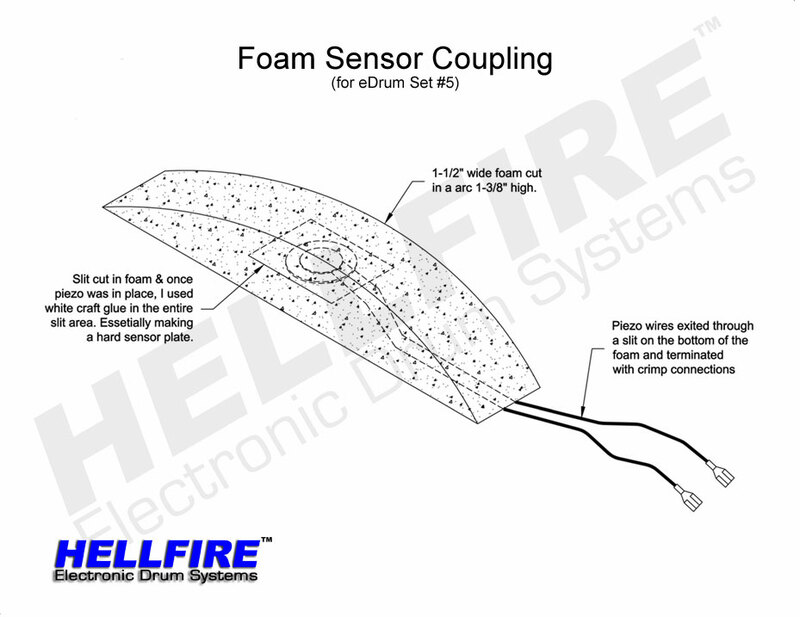 I figured, I will worry about the sensor couplings later. 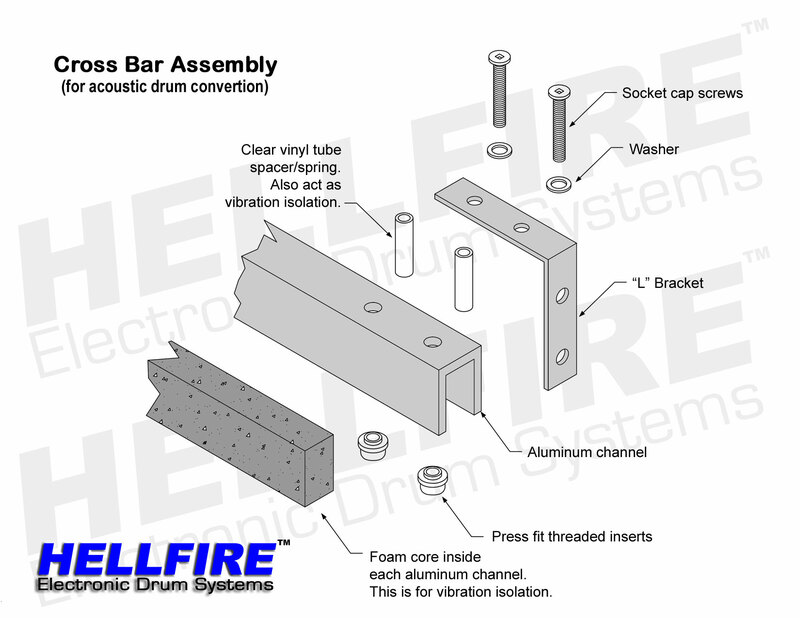 Here is a drawing of the cross bar assembly. Well, I got all the cross bars done, but I wasn’t sure what to do about the sensor couplings. I had an idea of what I could use, but I wasn’t happy with it. Here a concept of what I was going to do. More Involved Internal Acoustic Trigger? I saw that my cross bar design was not all that original, however my is slightly different. I noticed he used Roland cones. In the past Roland wouldn’t let you purchase their sensor couplings unless you had purchased a V-set from them. Apparently, that was not the case any longer. I decide to use Beatnik’s sensor coupling plate assembly. Heck my cross bars already looked like his design anyway, I might as well go all the way. So I did. 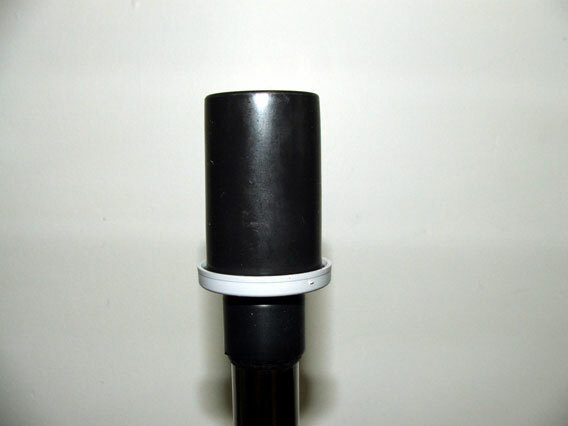 I went to Guitar Center and asked if they could order some of those Roland electronic drum sensor cones. They said they would try. It took about three weeks to get them, but my were the older style black ones. 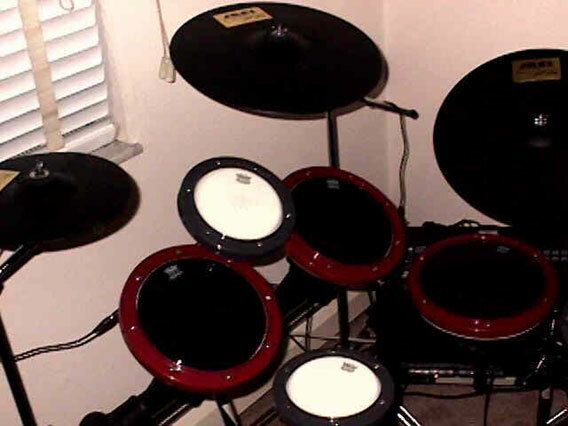 The guy at Guitar Center said that Roland would only sell the older ones they had in stock, not the new ones, because the only serial number they had was for the one Vdrum set they had at Guitar Center. That set used the old black style cones. I took what I could get. The pictures below are the end product. One more thing, this is my current set, just incase you are wondering. i’ve been following your r&d for a little while and admire the hell out of people like you and others whose spirit of inquiry is indomitable. 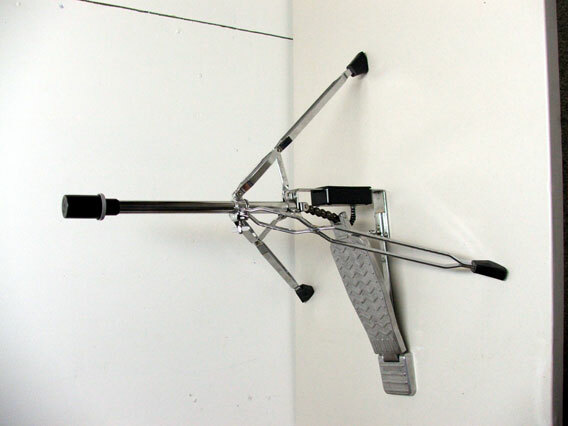 via the knowledge base that has accrued to me the far, i tell drummer friends and others who are interested that an acoustic trigger such as ddrums’ pro-acoustic and roland’s similar offerings could theoretically/practically be attached to anything, that can be struck is capable of resonating as a result, could then be hooked-up via guitar/microphone cords and run through an electronic drum module which could then be used to assign a voice to that resonating source. is that true? listen man, thanks again for modeling the ingenuity that has and Lord willing, will always make this country the source of everything that is good. You pretty much nailed it. As long as what you attach the trigger to can be struck, you can use it as a trigger. Keep in mind that some things will work better than others. 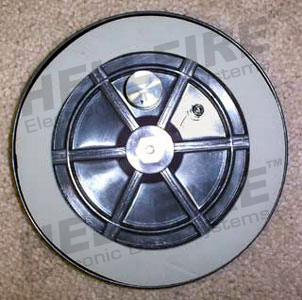 For instance, it is beat to attach triggers to things that don’t ring out for a long time. Placing a trigger on a bell would be problematic, but a piece of wood should be fine. I hope that helps. Hi- great site! I’m hoping you can answer a question. 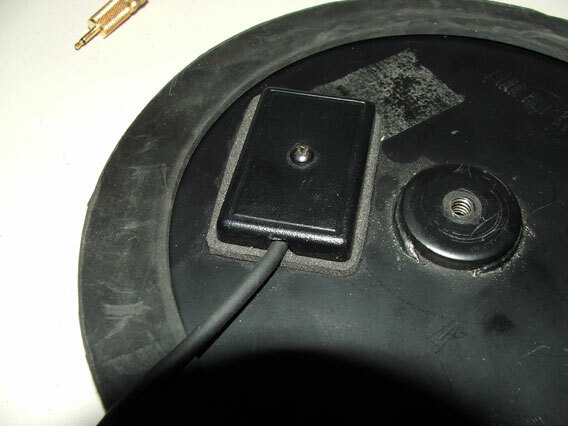 I need to replace the piezo cone on a Roland RT-7K bass drum trigger, and Roland has been no help. They sell a cone on their website, but it’s much larger than the one on the trigger. I need one with a base diameter of 3/4″. Do you know where I could find one? Thanks much! 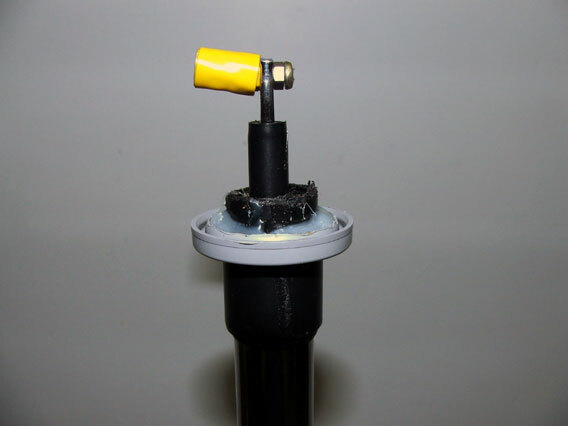 I don’t have much experience with those trigger, but if Roland is not much help you might have to take a try at making your own foam cone. 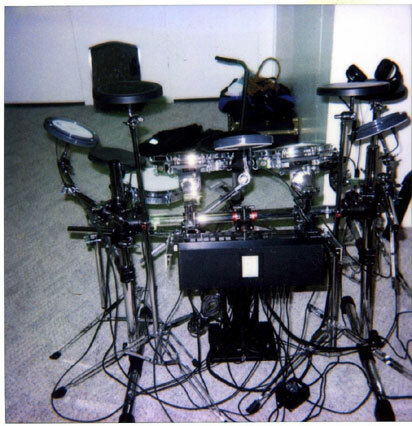 Roland is of absolutely no help, all I need are 5 of the foam cones for my V drums. Just the adhesive cones, any help? You best bet is Ebay. 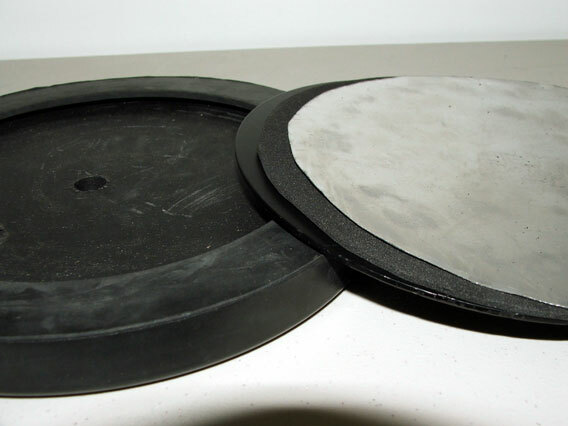 Look for sellers quartztrigger or ufodrums. Those two seller seem to be the way to go for replacement cones. I hope that helps. 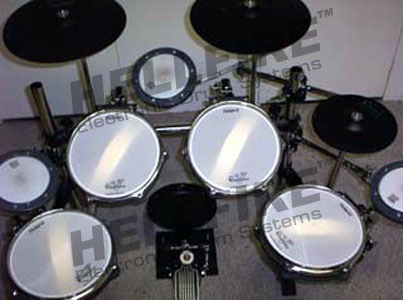 Alesis Revamping its eDrum Division?